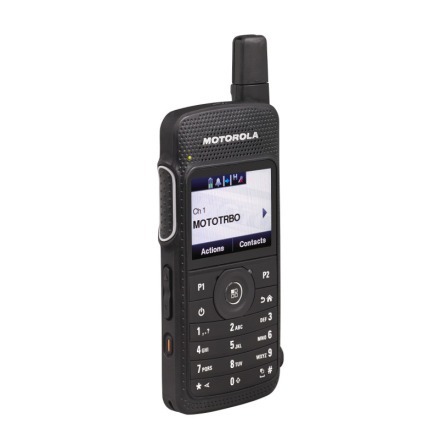 Motorola MOTOTRBO™ SL4000/4010 Two-way Radio - ConnecTel, Inc.
With the MOTOTRBO™ SL400 Series we have rebuilt digital two-way communications and redefined everything you expect radio to be. This fully functional and stylish radio weighs as little as your average smartphone. Thanks to clearer voice, real-time data and discreet communication people can collaborate like never before. 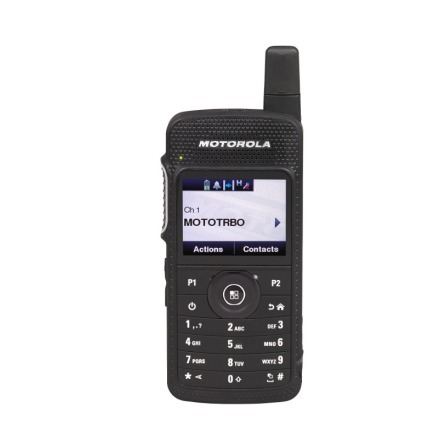 Its slim design and forward-thinking features, such as Intelligent Audio, integrated Bluetooth and covert mode, enhance your professionalism and discretion so you can provide superior customer service and faster response time. Everything about the SL Series portable is designed for discretion and professionalism. From its incredibly sleek shape –so your staff will always look professional –to its exceptionally slim size. Hold it in your hand and feel how light it is –less than half the weight of a standard radio. It’s so effortless to carry, comfortable to wear and elegant in styling, it complements the most upscale attire. The accessories are also designed to complement the sleek, compact design of the SL Series portables. Bluetooth® wireless and compact single-wire earpieces enhance discreet communication and increase client satisfaction. When it comes to exceptional audio clarity, the quality of digital can’t be surpassed. With the SL Series portables, you get digital quality plus unique features to help your employees hear and speak clearly, wherever they work. With the Intelligent Audio feature, the radio volume automatically adjusts to compensate for background noise so managers won’t miss a call on the manufacturing floor or disturb others when they return to the main office. The radio’s background noise suppression filters out external clamour – from crowded conventions to bustling airport gates. And Bluetooth® audio, embedded right in the radio, provides wireless voice communication with outstanding clarity and discretion. Whether the front desk is assisting a guest or the event planner is preparing for a special event, sharing information instantly is paramount. The SL Series features text messaging and embedded Bluetooth® data in the radio so work teams can share real time information, saving valuable hours and enabling better decision making. Plus your staff can read work order tickets and text messages quickly and clearly on the large, high resolution, full-colour screen. Take a look at the enhanced work order ticket management in the SL Series and see what true efficiency can be. Motorola has eliminated a number of steps to read work order tickets and the five line display presents data at a glance–saving time and eliminating scrolling through screens. And Motorola’s Application Developer Program offers customised data applications tailored to your operations. With the largest developer program in the industry, data applications help meet your objectives – from email gateways to telephony integration, and more. Put the SL Series radio in covert mode and it goes dark – shielding the display, LED lights and audible tones – for the ultimate in discretion. Your security personnel can hear clearly using our inconspicuous audio accessories, but no one else can. These accessories – a swivel earpiece or surveillance earpiece with a translucent tube – are so small, sleek and powerful, your staff can converse privately and conveniently wherever they work. For further discretion, they can use the vibrate alert feature to switch the radio to vibrate mode and never disturb or interrupt guests again. The high resolution, full colour screen on the SL Series portable automatically senses ambient light and adjusts backlighting for optimal viewing in all kinds of conditions. 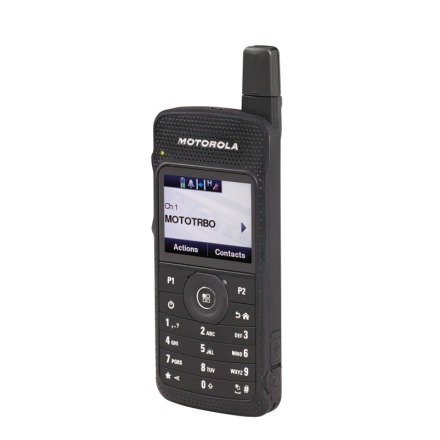 It also features a full keypad and an enhanced programmable button that manages up to nine frequently used features. Press a button and access all of your contacts or check the status of a work ticket with just a touch. Customisable voice announcement provides audible confirmation so a user can be notified of channel and zone changes or programmable button statuses without having to view the radio display.